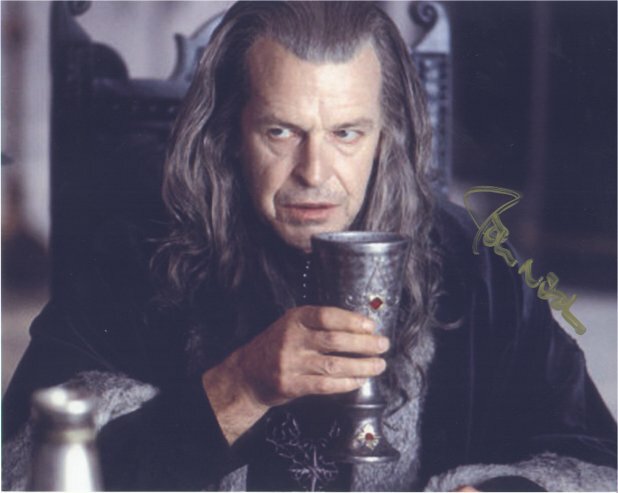 This quality 8x10 picture shows the Steward of Gondor (father of Boromir and Faramir), Denethor, sipping from his goblet. 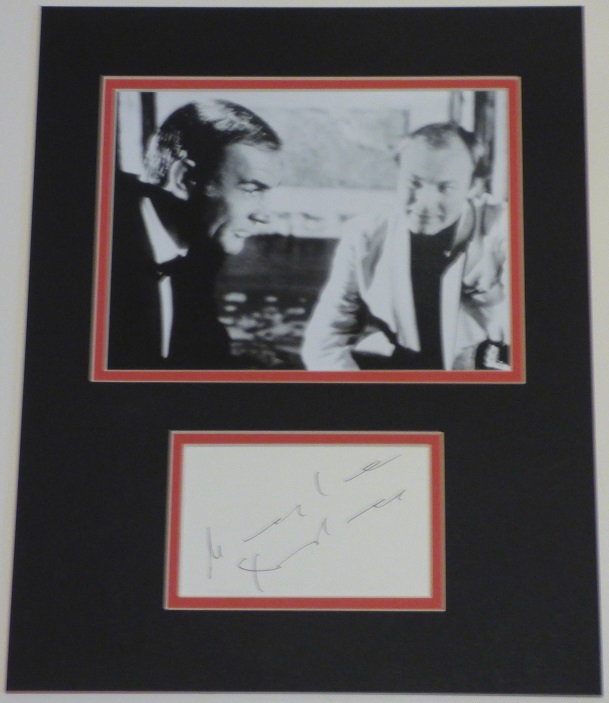 It has been signed by John Noble - the Australian actor who played the character in the sensational Return of the King. We will provide you with full details of where and when John signed the picture. Last Ruling Steward of Gondor, Denethor held a long dislike for Gandalf, and it may have hindered him. Upon Denethor's hearing of Boromir's death, he fell into a deep depression, and his last days were blackened. Even though the swearing in of Pippin as a Swordthain of Gondor cheered him some, it was not enough to save him. Denethor ordered his own execution, after hearing of Faramir's illness after his encounter with a Nazgul. Denethor had intended to burn both himself and Faramir in the pyre, but Faramir was saved by Pippin and Gandalf. Peter Jackson’s take on Tolkien’s literary trilogy The Lord of the Rings has proved to be cinematic gold, taking the breath away and capturing the imaginations of audiences all around the world. Few men would be brave enough to even try and tackle Tolkien’s tale, Jackson has done it with such style, aplomb and imagination that one cannot help think that Tolkien himself would have approved. With Tolkien’s work being combined with a stellar cast, stunning locations and scintillating special effects the outcome should never have really been in doubt! Commentators are already describing the films as amongst the best ever made, the public agree with the films topping popularity polls everywhere. Tolkien's words, along with Peter Jackson's faithful adaptation & inspired vision, have created something no one man could equal. This is your chance to bring the magic of Middle Earth into your house – don’t miss out!